The marinade used in this recipe is simple to make yet very flavorful! To make marinade, in a small bowl, whisk together soy sauce, tomato paste, oil, garlic, oregano and pepper. Preheat grill to high setting. Grill for 10 to 15 minutes, turning and brushing occasionally with leftover marinade, until beef is cooked to desired degree of doneness. 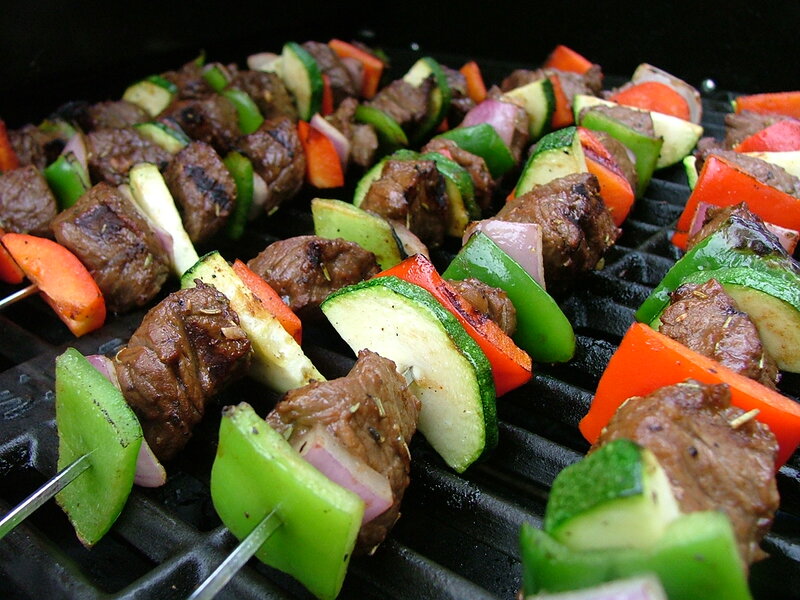 Remove skewers from grill and cover loosely with foil. Let rest for 5 minutes before serving.